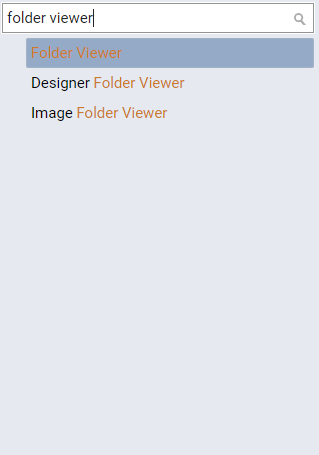 A folder viewer displays the contents of a folder on a page. You can set a default report that will display when the folder viewer opens. 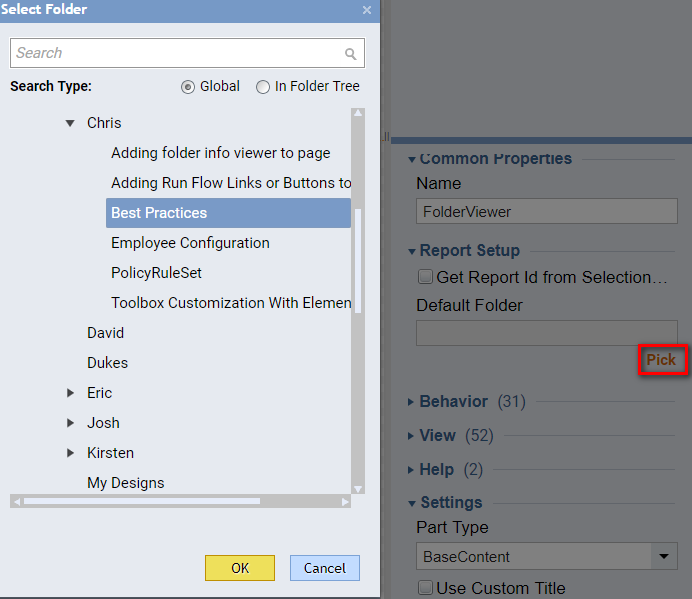 To add a folder viewer, in the Page Designer , from the Page Elements	panel, drag aFolder Viewer	component to the workspace, and configure its properties in the Properties	panel. In our example, we&apos;ll add a folder viewer to an existing page. First, navigate to a Designer folder, select the portal page thumbnail and click the Edit	link. In the Page Designer , from the TPage Elements	panel, search and drag a Folder Viewer	component to the workspace. Next, we configure the Folder Viewer. In the Properties	panel, in the Behavior	section, select a report from the Default Report	drop-down list. Finally, save the page and close the Page Designer . To view the page with the folder viewer, select the portal page thumbnail and select View >	Preview Page	in its Action	menu. 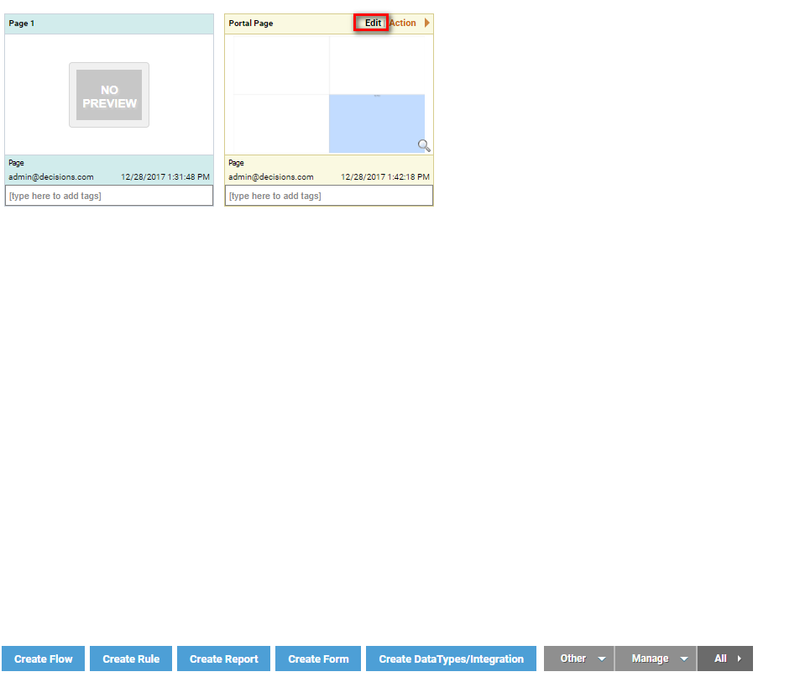 The page displays with a folder viewer component and displays the selected report.